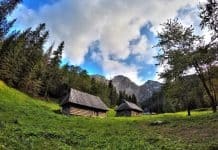 Recently we have written a post about 10 reasons you should travel to Poland. We believe this country is beautiful and still undiscovered. Most tourist are visiting Warsaw, as it is a capital, Krakow for great party and the neighbouring Auschwitz to see the terrible crimes done by Nazis. Some of them are determined enough to visit other places like Gdansk at the Baltic Sea or Zakopane, the winter capital of Poland. But only few know about the beautiful city called Zamosc. It is one of the most amazing places in the entire country. 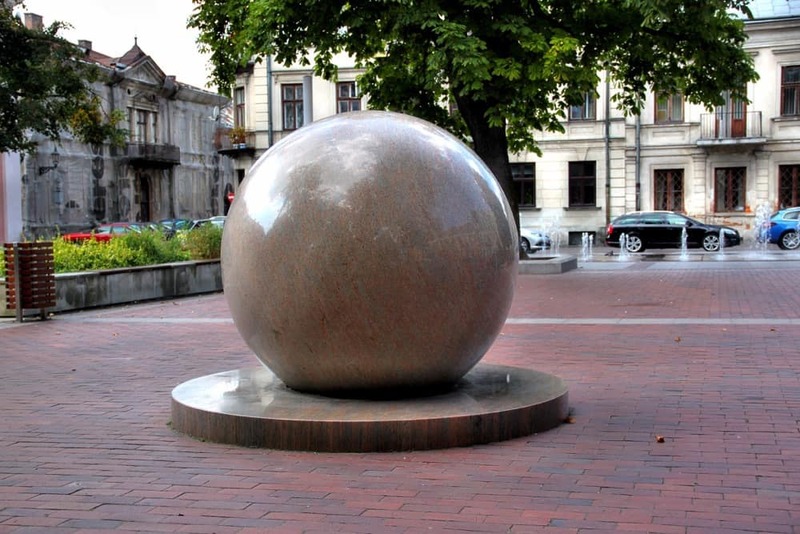 Zamosc is called the Polish pearl of Renaissance. Why? Because its Old Town was built in this architectural style. It really is breathtaking! 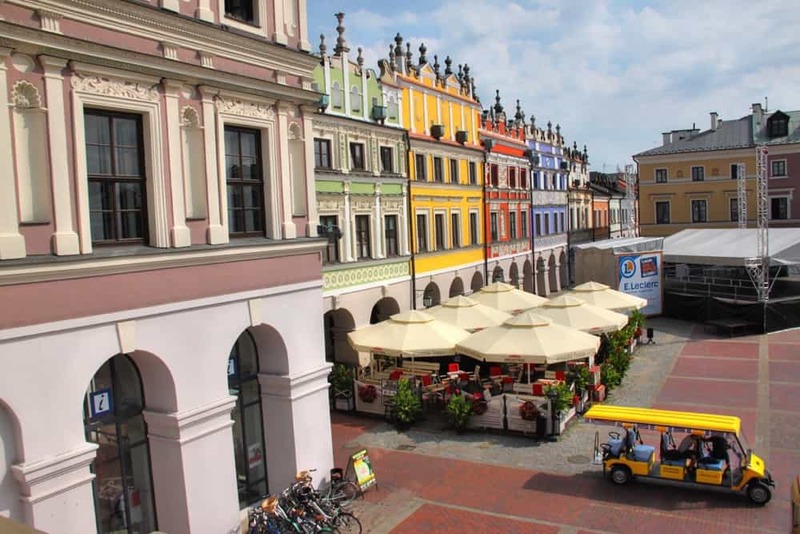 The colourful buildings, the lovely monuments and peaceful atmosphere make Zamosc the place that everyone should visit. This city has very interesting history. 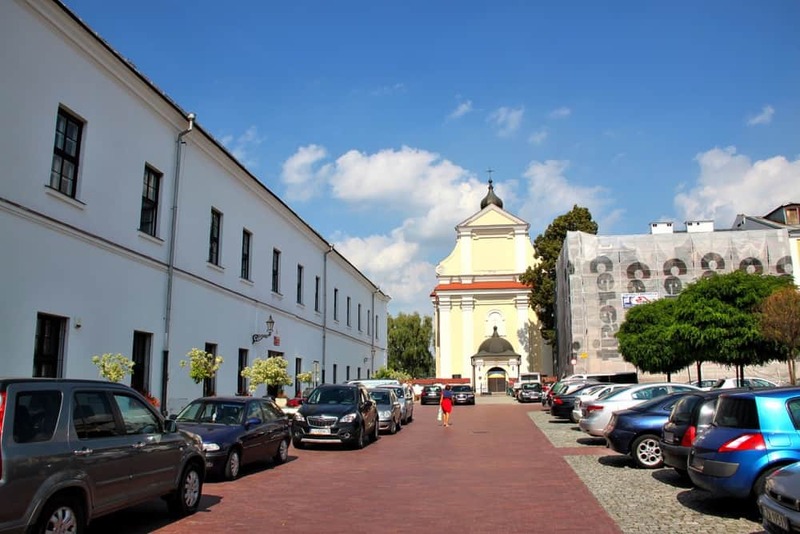 It was founded in 16th century by Jan Zamoyski. His family still lives in Zamosc. The crazy fact is that the last president of the city was his offspring! He had been chosen in the democratic election. There are not so many aristocratic families in XXI century, what makes Zamoyski family pretty special. 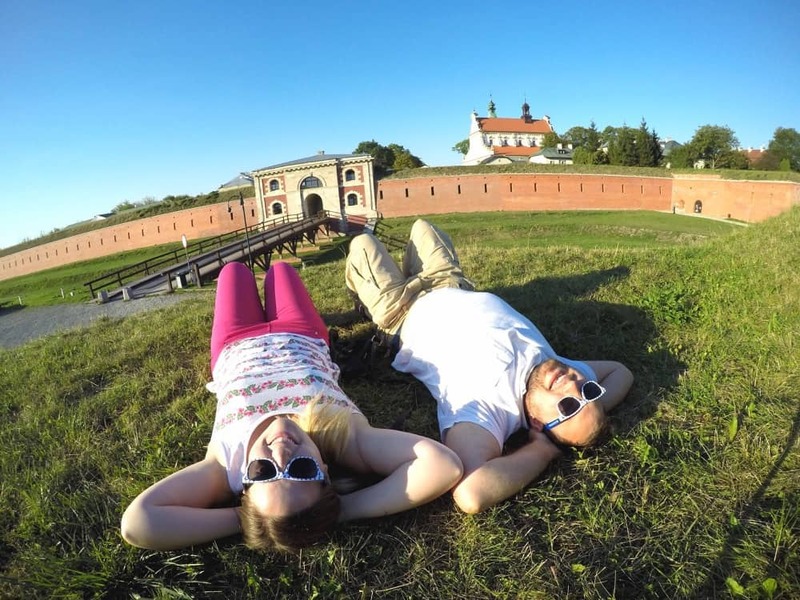 In this guide you will find all the informations you need to travel to Zamosc. Ready? Let’s begin! 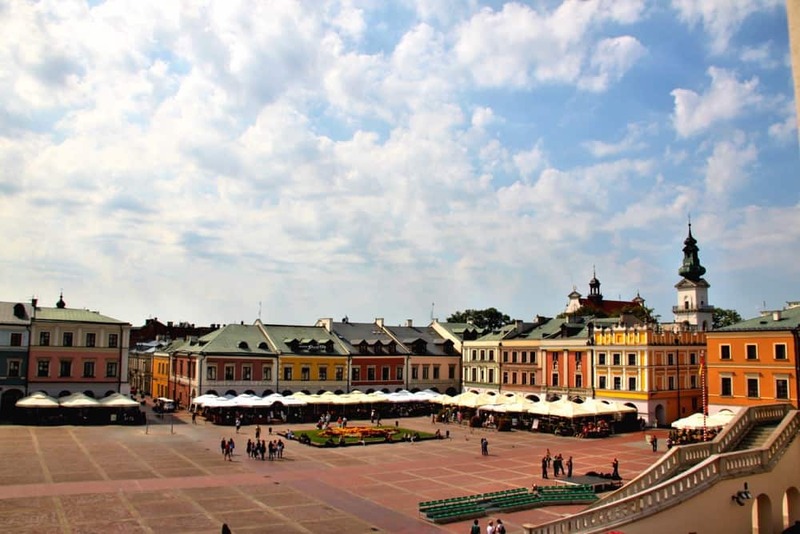 Zamosc is situated at Lubelskie Province, in the East of Poland, close to Ukrainian border. The Warsaw is 270 kilometres (167 miles) from it. There is no airport in Zamosc. The only way to get there is by train, car or bus. 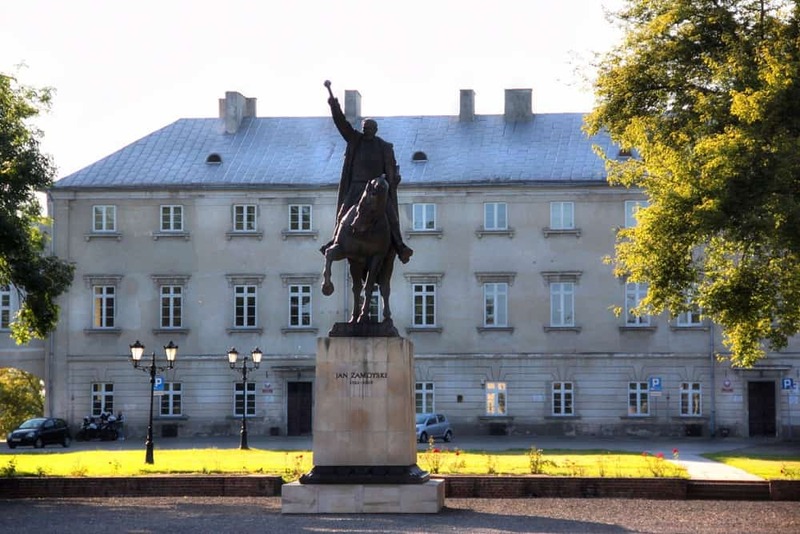 Most big cities of Poland has direct connection with Zamosc, so traveling shouldn’t be a problem for you. We always use E-Podroznik to plan our journeys. 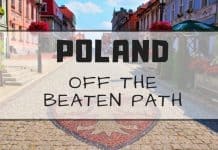 If you want to know more how to travel through Poland, read this post. The Old Town is the most beautiful area of Zamosc! Below you can see our map with all the important places to see in the city. The highest and the most impressive buildings at Rynek Wielki. The Town Hall (Ratusz) is still the seat of the city government, that is why you can’t get inside of it. It is worth to climb up the high stairs and see the beautiful view of Old Town from the above! 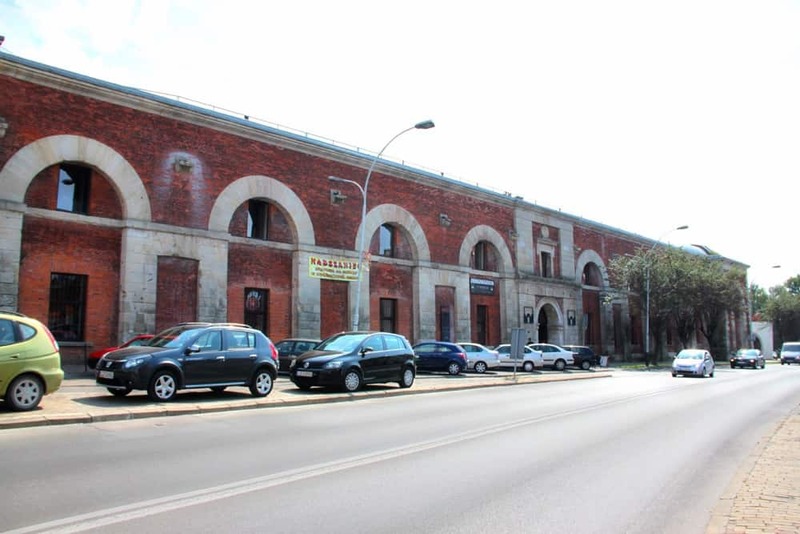 The best museum in Zamosc. It is located right next to the Town Hall. We found there so many informations about the city and learn a lot about its history and culture. The museum has three floors, so you will spend there at least one hour. The admission is 10 zloty per person. Amazing, colourful buildings that simply cannot be missed! Zamojskie Museum is located in one of them. Bernardo Morando was the Italian architect that designed the Old Town of Zamosc. Thanks to him, the city is called Padua of the North. The house that belonged to Jan Michał Link, Polish architect and major. It is slightly different than all the other buildings in the Old Town- it is made of red brick. One of the oldest and the most important universities in Poland, built after Krakow and Vilnius Academies. The gate was walled up after king Stefan Batory visited the city. 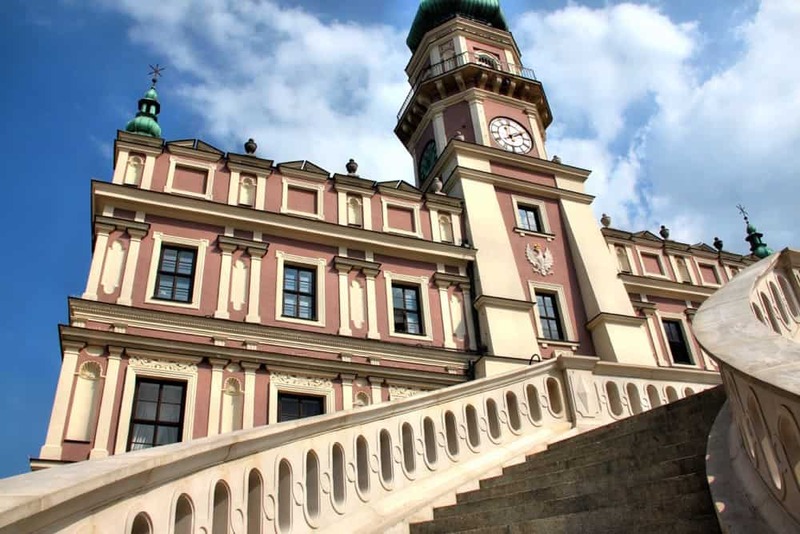 Jan Zamoyski promised to him that no one else will enter Zamosc through it. Of course he kept his promise. When the old gate was impassable, the new one was built in 19th century. The monument built in memory of the founder of Zamosc. It is very impressive. Zamoyski is riding his horse and holding is hand up, as a sign of strength, power and glory. The palace was the place where Zamoyski family was living throughout the ages. Right now it is the seat of a court. 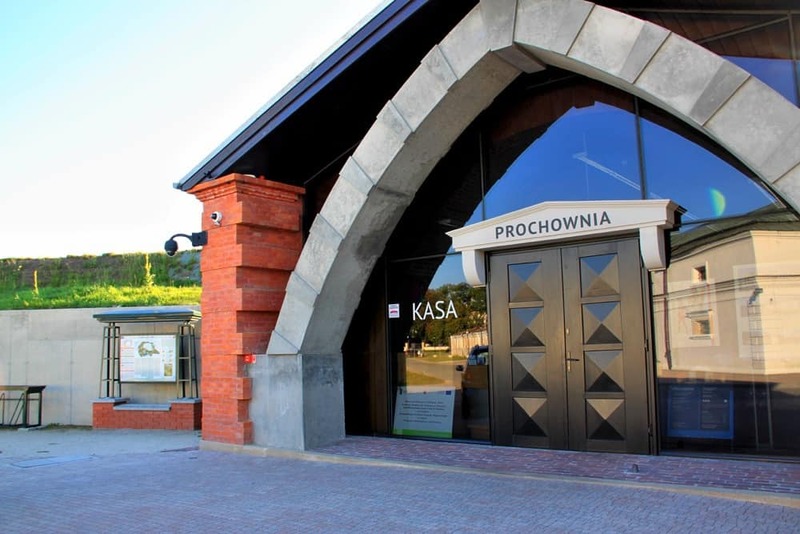 Even though it is not open to the public, it is worth to visit the neighbouring Prochownia and Arsenal. Both museums are interactive and very informative, especially for those of you who are into weapons and army. One of the most beautiful churches in Zamosc. It is worth to climb up on the top of the Cathedral Tower to see the breathtaking, panoramic view of the city from the above. The admission is 3 zloty per person. Visiting the church is free of charge. Our favourite gate in Zamosc. It is big and is a part of the city fortress. It was the church in the past- right now it is a seat of the Music School. 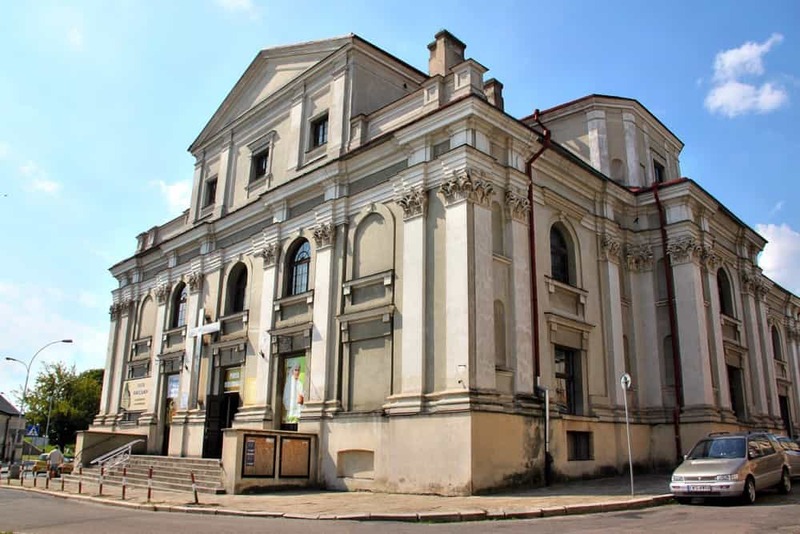 This is our favourite church in Zamosc. It was built in 17th century and was an Orthodox Church in the past. 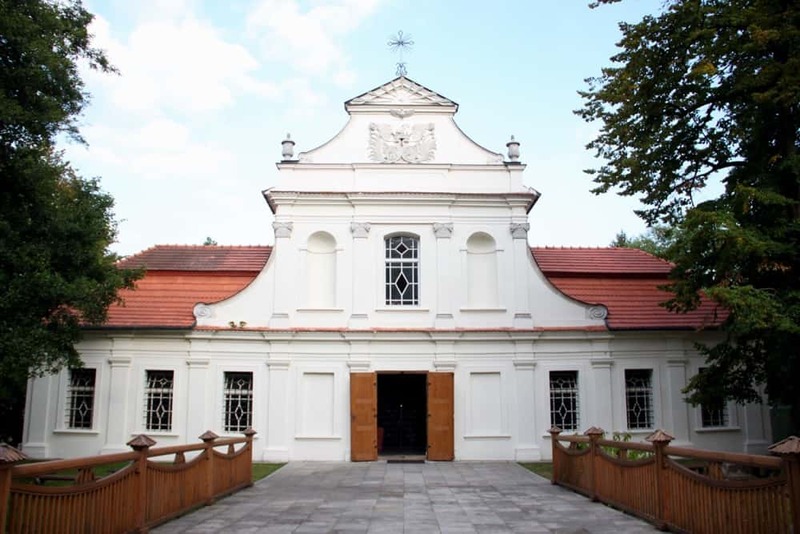 It was one of the biggest Polish churches in 17th century. It is not so huge right now- Russians destroyed it during partitions of Poland. Franciscans are trying to retrieve the original shape of the church. They are still collecting money for the renovation. Hopefully they will manage to finalise their plan in the nearest future! Cavalier was the highest point of the fortification. In the past it was a great observation point and a perfect spot for shooting. Actually old and new Lwowska gates. They are a part of the fortess of the city. Beautiful, baroque church built in 17th century. It has relics of St Andrzej Bobola and St Father Pio. They are located at Rynek Wodny. Fountains are only working during summer, late spring and early autumn. Synagogue is a beautiful reminder of Jews that have been living in the city for many years. Before the World War II more than 12,000 of them were living in Zamosc (which was 50% of the entire society!). 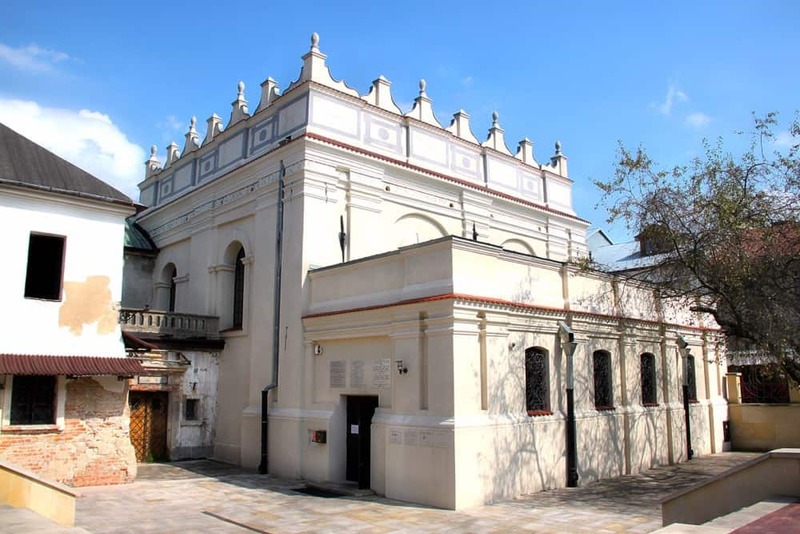 The admission to Synagogue is 7 zloty. 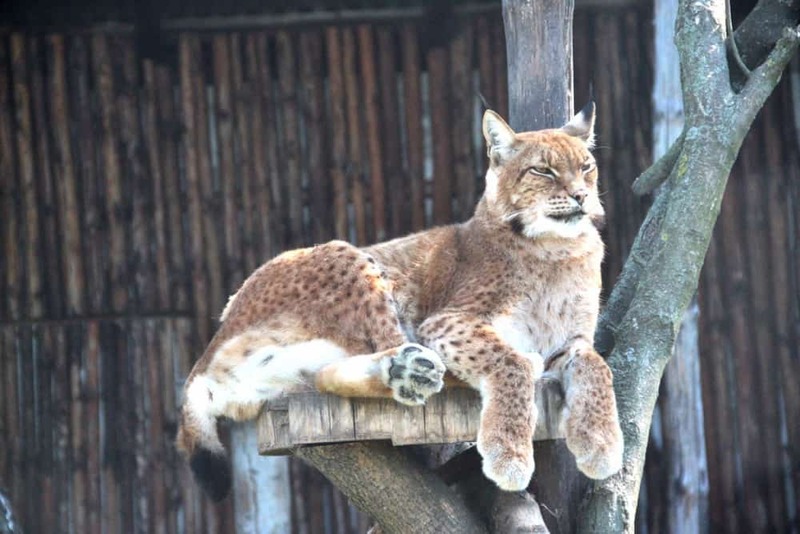 Zoo in Zamosc is one of the best in Poland. You can’t see it on the map because it is located few kilometres from the Old Town. 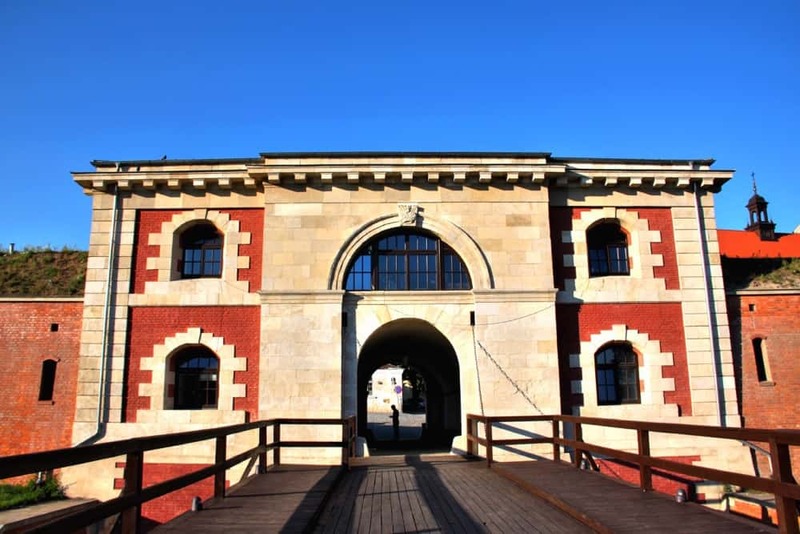 We usually feel sorry for the animals that are being kept in that cages… It was different in Zamosc. 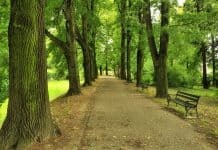 Animals have great conditions of living there. Most of them are under the protection and can’t live freely in their natural environment. There is only one hotel worth recommending in Zamosc- Mercure Stare Miasto. It is located in the heart of Old Town, right next to the Town Hall and Rynek Wielki. Our room was spacious and comfortable. The staff was very friendly and welcoming. And the buffet breakfast… The food was so delicious and fresh that we couldn’t get enough of it! Another great reason to stay in Mercure hotel is that you will get a discount card for many tourist attractions in the city. For example you will pay 40% less for the ticket to Zamojskie Museum. How awesome is that? 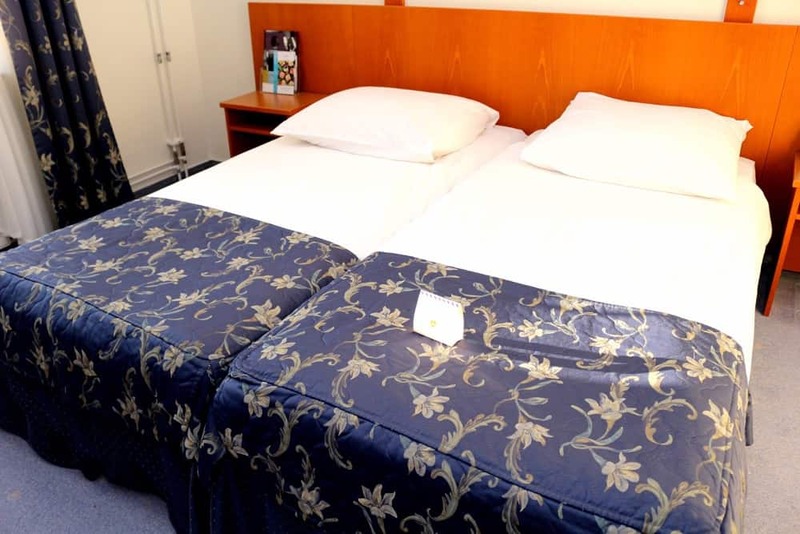 Check out the latest prices for Mercure Zamosc—> click here. 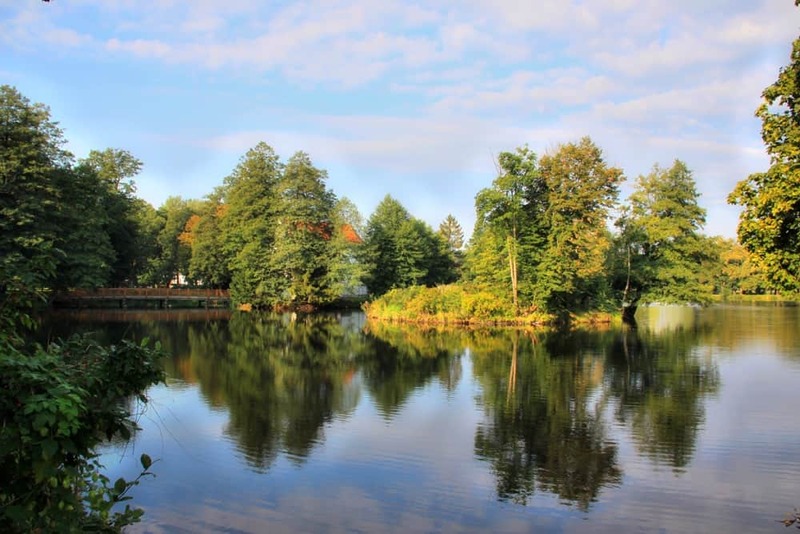 Zamosc is located in one of the most beautiful areas of Poland, called Roztocze. It is famous from the unspoilt nature, fresh air and peaceful atmosphere. 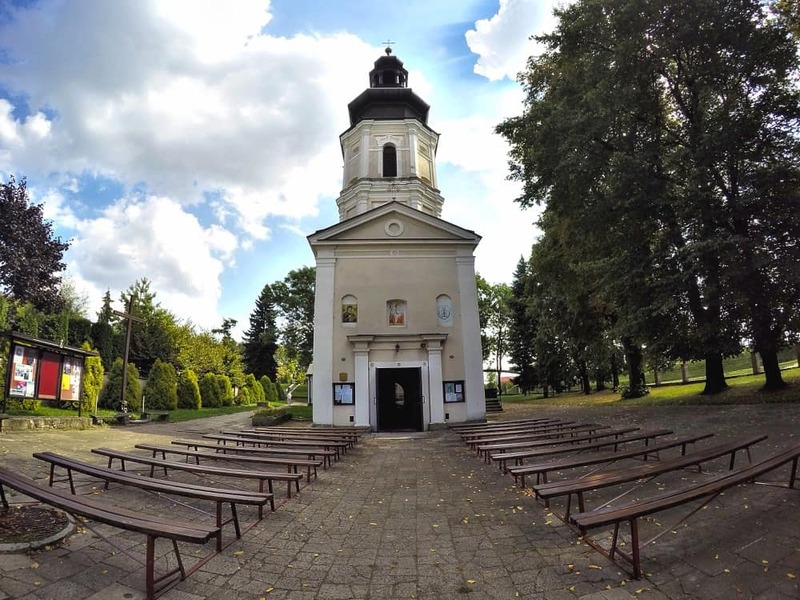 When you are visiting the city, it is worth to go to the neighbouring Zwierzyniec and see the beautiful Church on Isle. The other interesting place is Szczebrzeszyn, the capital of orthography. Polish language is one of the most difficult in the world. We bet you can’t say: W Szczebrzeszynie chrząszcz brim w trzcinie. The other beautiful places close to Zamosc are: Krasnobród (with beautiful lake), Jozefów and Biłgoraj. Disclosure: We want to thank Mercure Hotel for complimentary stay. All opinions presented in this post are honest and our own.